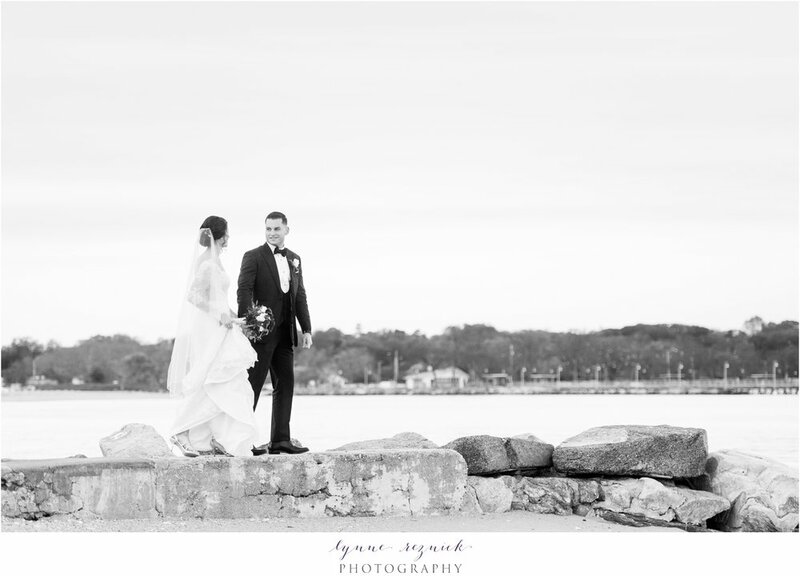 Before the wedding bells and before their first dance to "The Real Thing" by Zac Brown Band at their Stamford Yacht Club wedding, Kristie and Andrew met in college at a physical therapy clinic they were both working at. They were friendly but didn't end up getting together until four years later when they reconnected. Kristie was working with Andrews sisters at the time and Andrew asked Kristie out on a date. They've been together ever since! The best way for me to describe these two is thoughtful and kind. 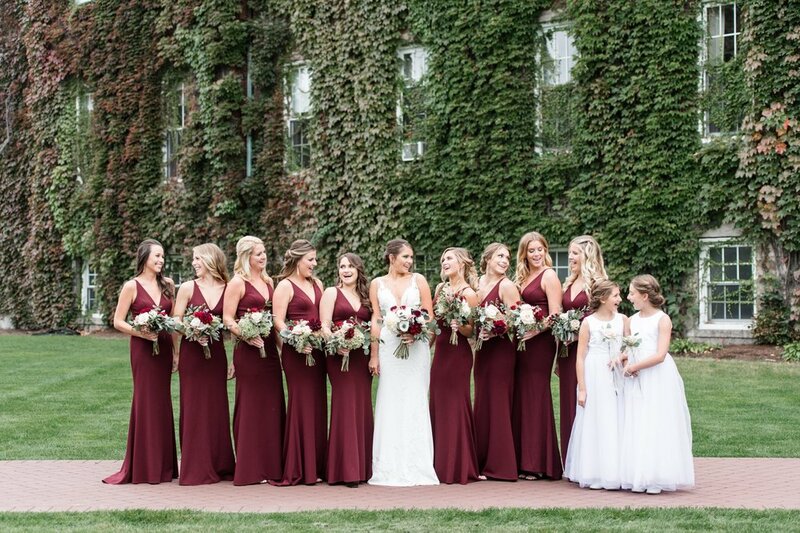 They went out of their way to make family and friends feel special and loved on their wedding day and it was obvious that kindness and generosity guide them in their everyday lives as well. 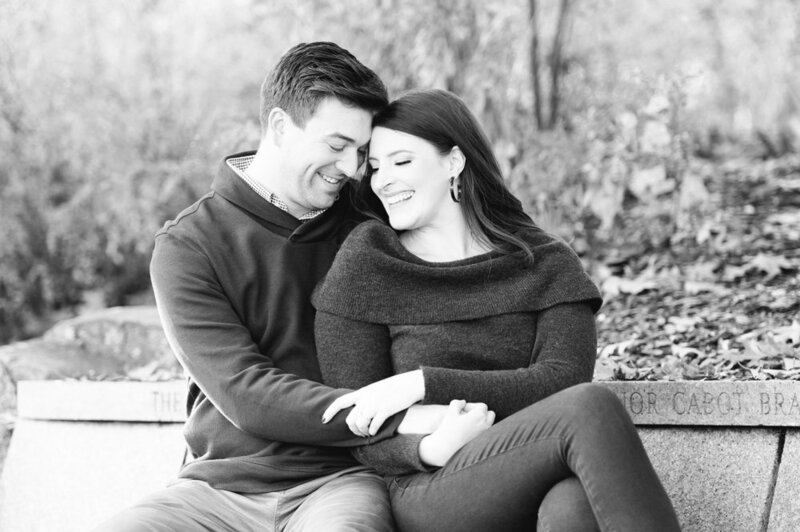 Kristie and Andrew bought a home together in the year prior to getting married - talk about a big year! 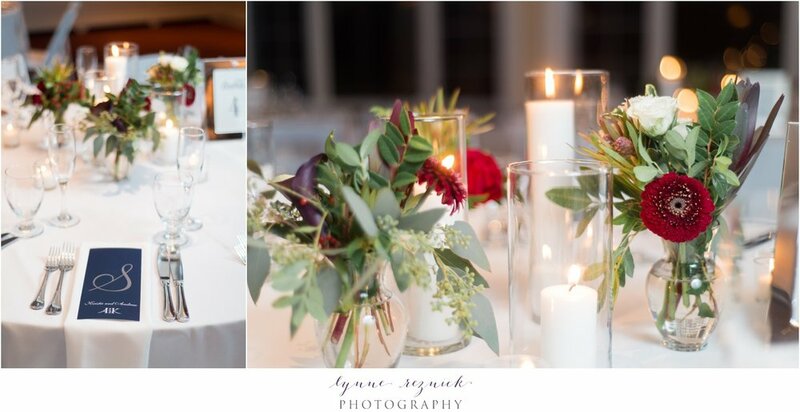 A home and a wedding! And Kristie got ready in their new shared home. Such a special thing to be able to prepare to marry your soulmate in the home you share together. 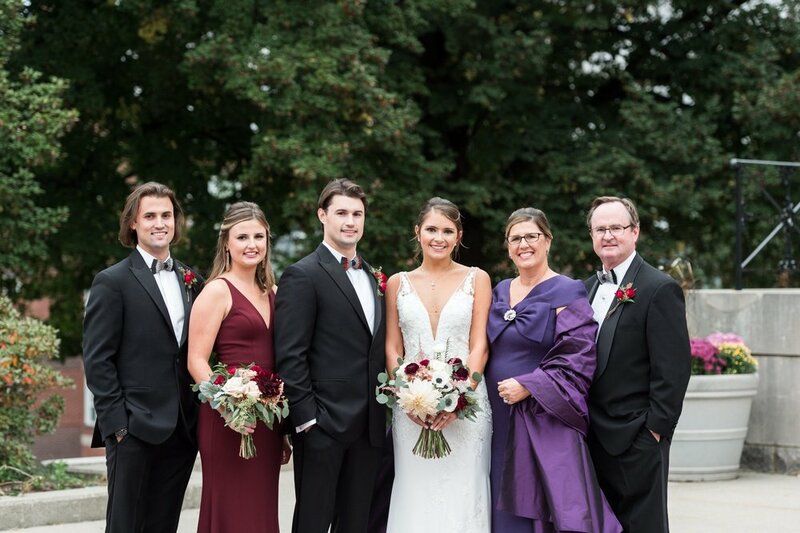 She had an amazing team for hair and makeup with hair by Kim West and makeup by Sue Berkoff. 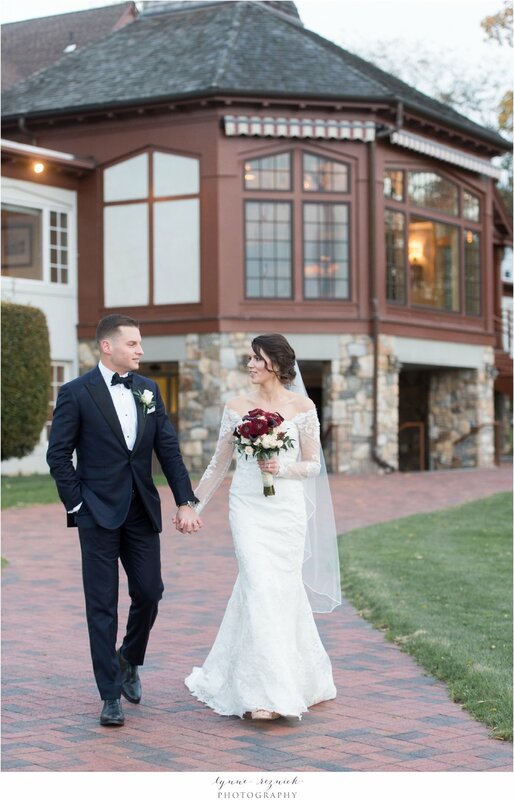 And she found her stunning gown by Kelly Faetanini at A Little Something White in Darien, CT. She had it altered to add the lace sleeves in honor of her mom, who wore lace sleeves on her wedding dress years before. 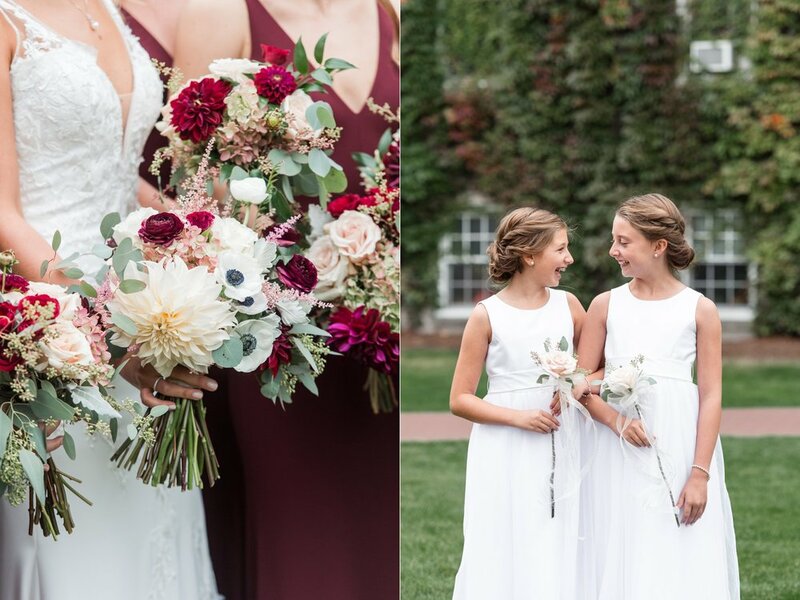 It was a beautiful way to remember her mom. 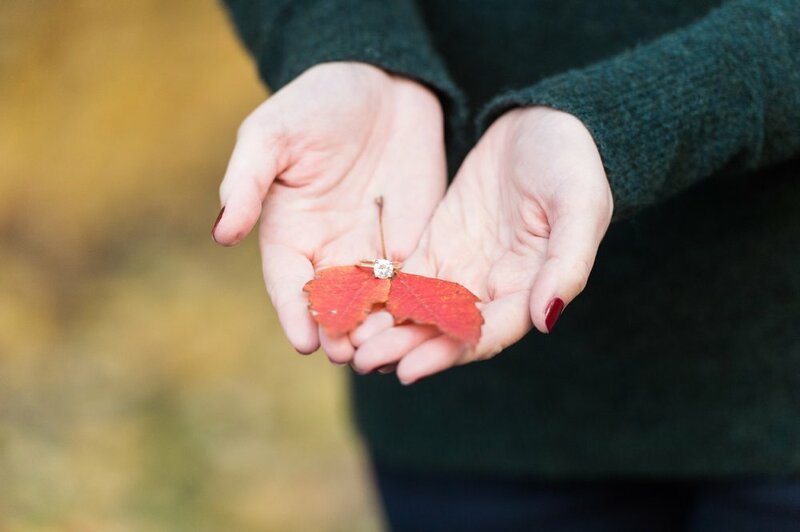 She also wore an heirloom hair comb and they got their wedding bands from Betteridge Jewelers. Andrew and his Dad wore custom navy suits from Suitsupply that had special messages stitched under the collars. 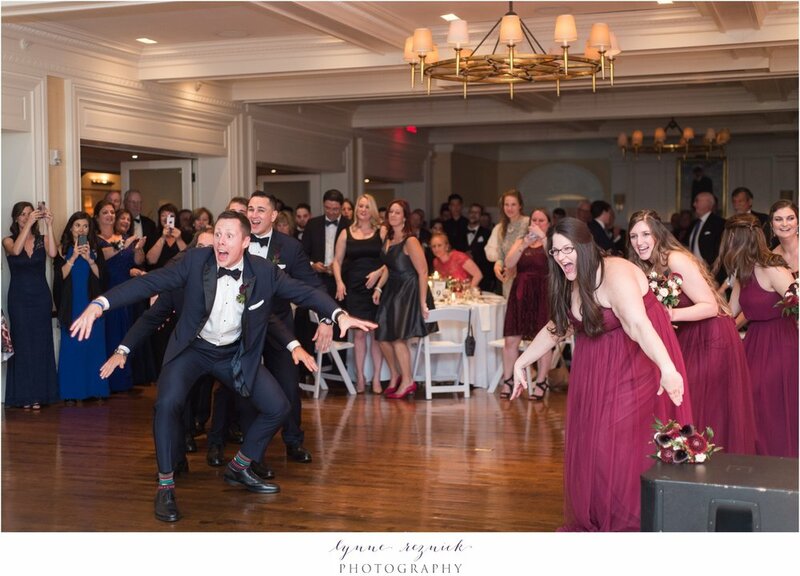 Andrew also gifted socks from Sock Club to each of his groomsman and they were a fun pop of design and color. 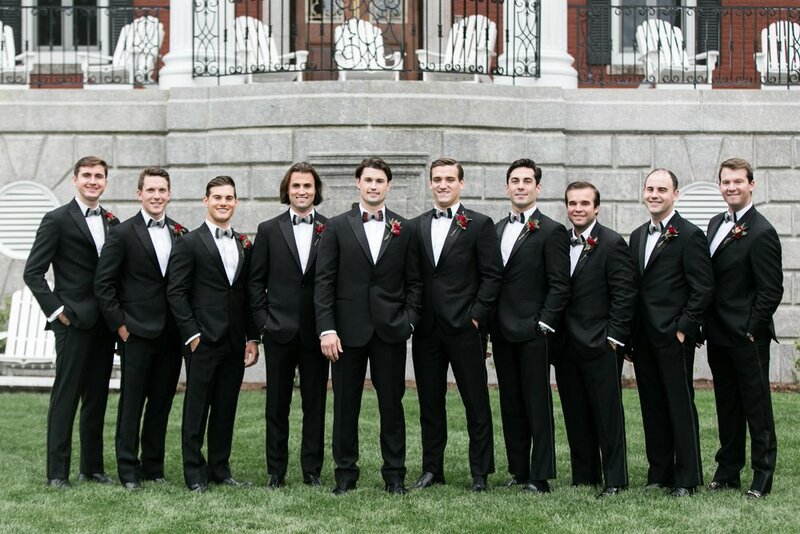 Andrew got ready with his groomsmen and his Dad and Kristie had her sisters and sisters-in-law, as well as her best friend, by her side as she got ready. They held the ceremony at Andrew's family church: Our Lady Star of the Sea. 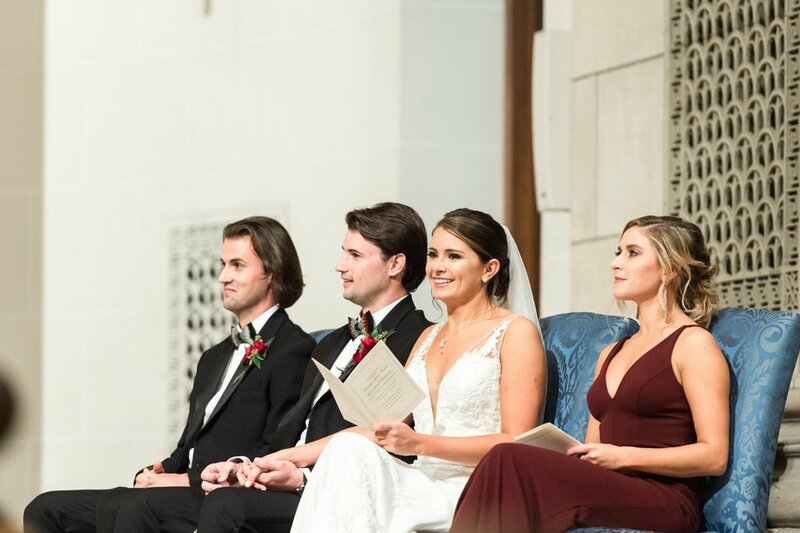 It was particularly special because the priest that married Andrew and Kristie had known Andrew since he was a kid and was able to speak personally about the journey Andrew has taken so far, and now how the two of them are embarking on a journey through life and of faith together. After the ceremony we dashed off for portraits at the family home right on the beach. The sunset was AMAZING and the calm waters and cotton candy skies made for a chilly! but beautiful backdrop for photos. 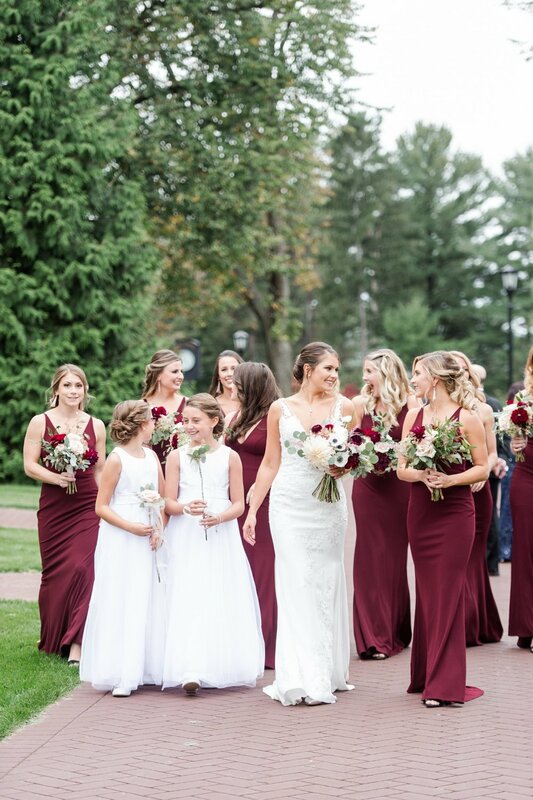 The rich cranberry and navy tones popped against the sunset skies and the florals from Brewster Flower Garden were stunning. We then zipped over to the Stamford Yacht Club to catch the rest of the light as the sun was setting. 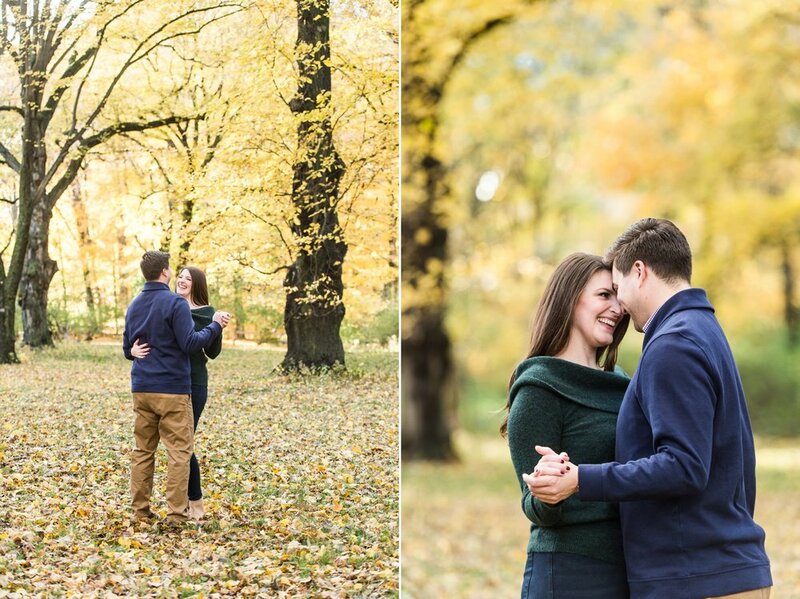 It was a chilly 34 degrees by the time we finished portraits but Kristie and Andrew were troopers and snuggled a lot to keep each other warm :) And the photos come out amazing! I'll brave the cold with a totally in love couple any day of the week! 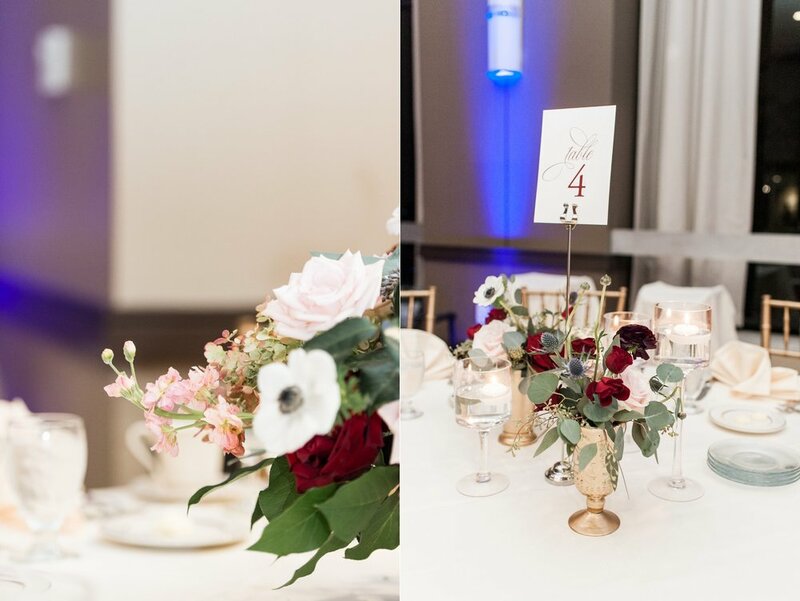 Andrew and Kristie were so thoughtful about the special touches they incorporated into their wedding. they love their community and wanted to keep vendors as local as possible. So they had local whiskey in their signature drinks and artisanal donuts from their favorite local bakery for dessert, along with their cake. And yes, I was BEYOND excited about the donuts. And Kristie knew I had a love for them - so she made sure I tried one. And they were AH-MAZING! 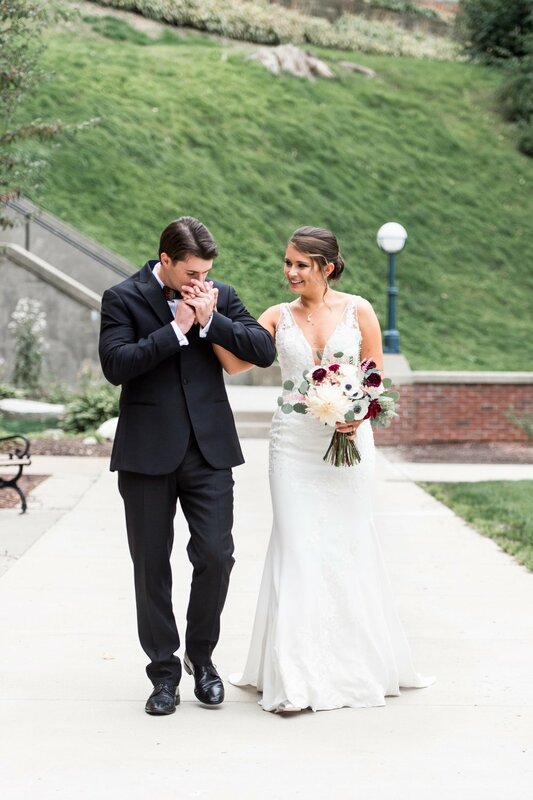 They also both enjoy wine so they asked their guests to write well wishes and love notes on wine bottles, each labeled with a milestone anniversary. 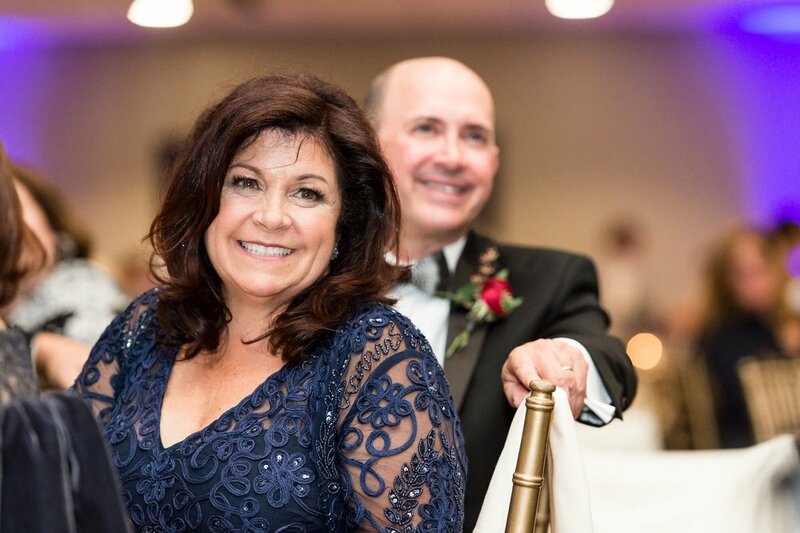 Now, as they celebrate their first anniversary, and their fifth, and their tenth, and their twenty-fifth anniversary, they'll share the bottle of wine designated for that anniversary and read the messages left by loved ones on their wedding day. I can't tell you how much I love this idea! I think I'm going to steal it when Scott and I renew our vows in a few years. Andrew's Dad has a thing for hats. He told everyone that he has a thing for hats during his toast to the couple, and he proceeded to whip out a baseball cap with their custom wedding monogram logo (created by Andrew's mom!) on it. Now, this was adorable, but as it turns out, Andrew's dad wanted everyone to share in his love of hats and his love and Andrew and Kristie - so e had enough made for all of the wedding guests and they were put out for people to grab and wear throughout the evening! And the hats made their way onto the dance floor as people danced the night away to music from Dance To The Music Entertainment.